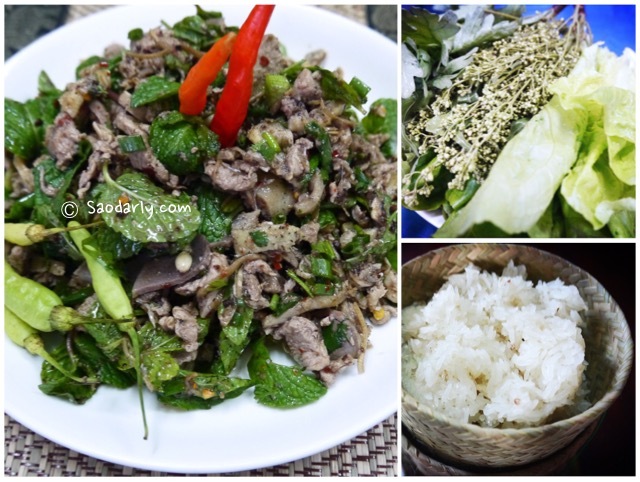 Lao Minced Duck Salad (Larb Ped; ລາບເປັດ) and Lao Duck Soup (Kaeng Ped; ແກງເປັດ; Tom Ped; ຕົ້ມເປັດ) for dinner in Vientiane, Laos. 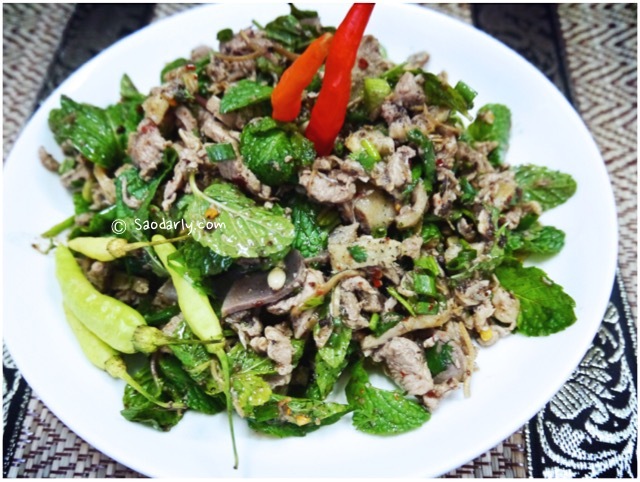 The Minced Duck Salad is a favorite dish for one of my aunts. 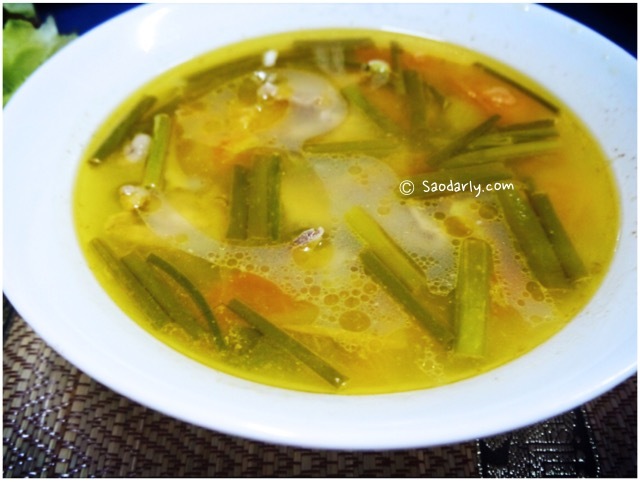 She likes to grill the head and the feet of the duck to go with the Larb Ped and Tom Ped. 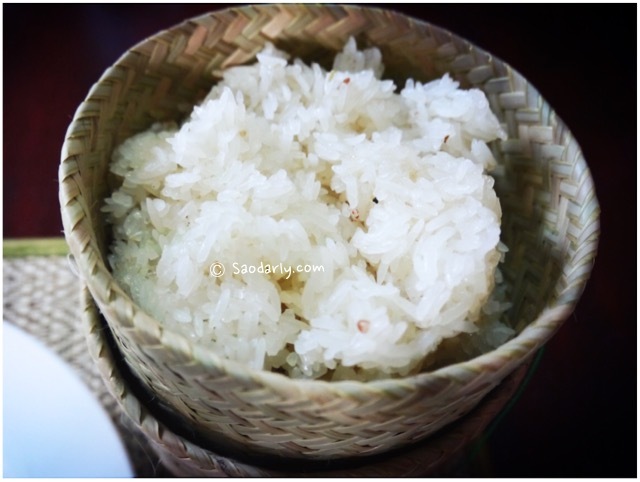 It was a good meal with plenty of vegetables and warm sticky rice on the side. 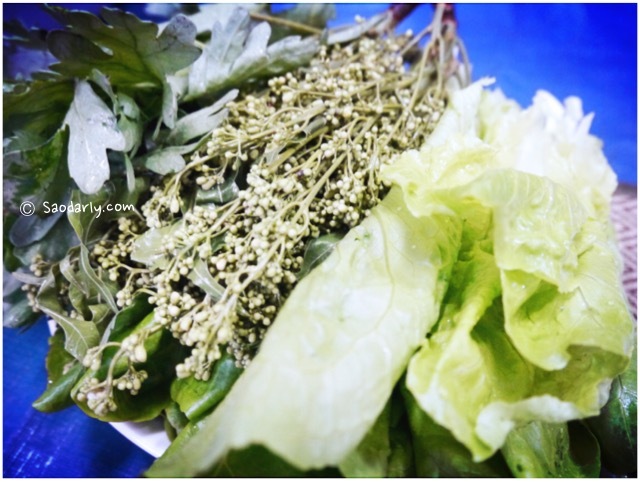 I like Lao Larb very much, but don’t know how to prepare. Please teach me. 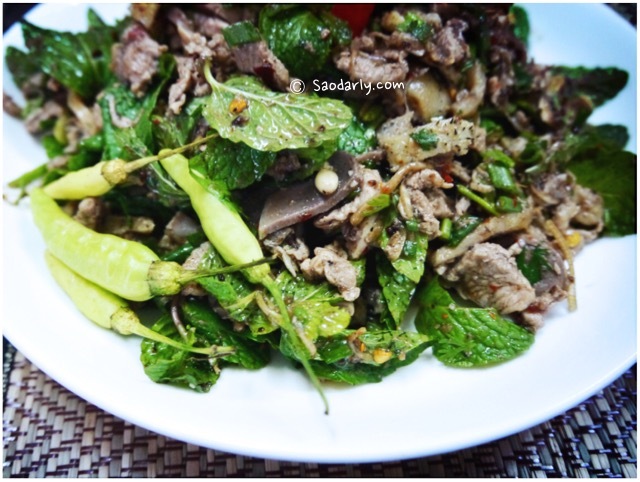 There are many restaurant in Phnom Penh that also can make Larb, but not taste better than Lao Larb.